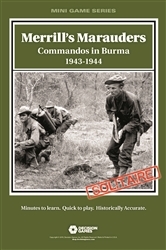 Merrill’s Marauders is a solitaire game covering missions behind Japanese lines in the Burmese jungle. The player has to carry out one of four missions, or string all four together in a campaign game. 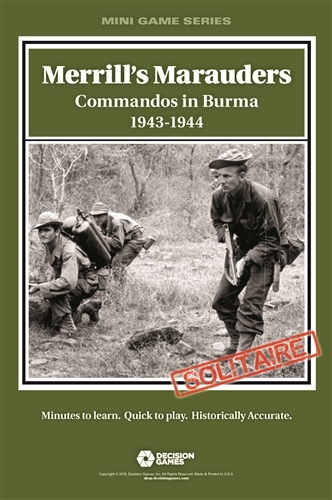 The game uses the Commando series rules. Each mission card grants the player a specified number of operations points to reach certain objectives. Operations points are expended to recruit the special ops team, then to move and attack on the map. 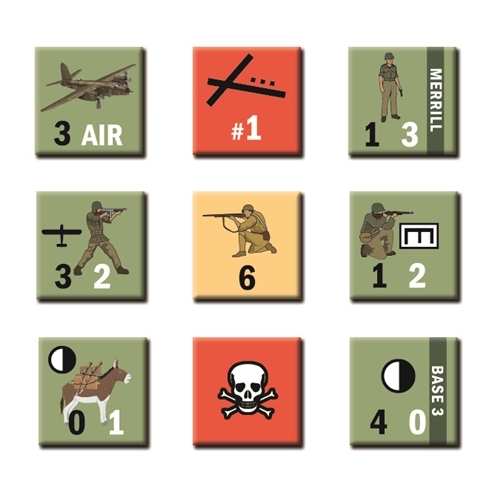 A deck of event cards controls the opposition forces (OPFOR). 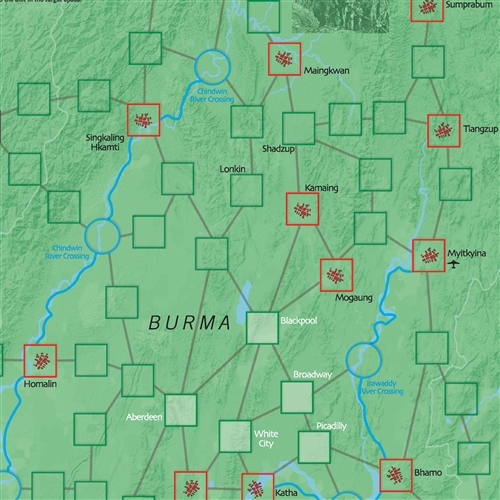 Combat is resolved using a quasi-tactical system with opposing units taking turns firing at one another. Victory can increase the number of operations points available, but heavy losses can reduce them. The game ends when the player runs out of points.